Oh this is brilliant, wonderful image and so perfect for a teen. your coloring is always stunning. I love your style, the papers and your gorgeous colouring. 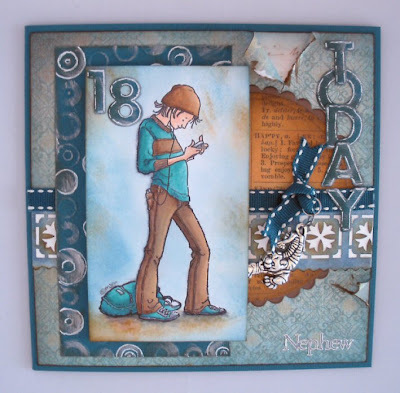 I love all the wonderful details on this card, and it's a great use of the color scheme! The image is perfect and beautifully colored. What a cool card for a teenager! Great!